At Warehouse Tire, we stock a wide selection of wheels for customers in Pontiac, MI, Waterford, MI, Clarkston, MI, and surrounding areas. 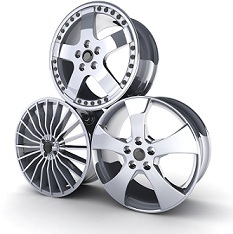 Our inventory includes factory wheels and custom wheels in many sizes and styles. From chrome wheels to black wheels, we have everything you need. We guarantee correct fitment the first time. Every customer’s criteria for buying aftermarket wheels is different, so we urge you to contact us with your questions or concerns. Our service staff is comprised of wheel and rim experts who remain on the cutting edge of wheel style, configuration, and performance.